Owing to their frequency and possible consequences and considering the fact they frequently affect young people, trauma tic lesions of the thoraco­ lumbar spine represent a special point of interest within the field of Neurotraumatology. Traffic accidents are the commonest cause, which accounts for the high peak of occurrence between 15 and 24 years of age. 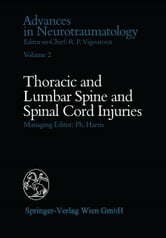 It is also worth noting that according to published series nearly 50% ofthe cases affect the thoraco-lumbar junction. 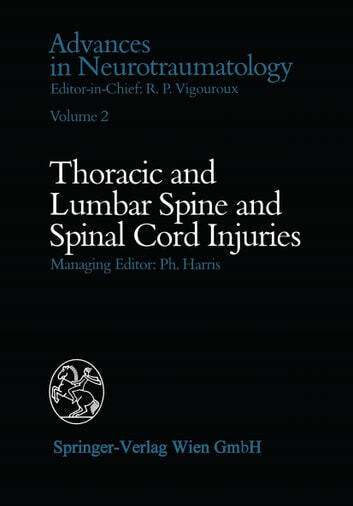 From an anatomical point of view, we must note the severity of thoracic spinal cord lesions especially of the thoraco-lumbar junction and of the lumbar region and be able to associate injuries ofthe conus medullaris and of the ca uda equina where there is a possibility of neurological recovery. Clinical evaluation is not always easy, but remains the basis for diagnosis and prognosis. The neurological classification proposed by FRANKEL et al. in 1969 and used at STOKE MANDEVILLE Hospital seems to retain its value. A more sophisticated study of medullary evoked potentials, as described by TsUBOKAWA can allow a more precise localisation and appreciation of the extent ofthe lesion as well as a better evaluation ofthe prognosis and ofthe evaluation of treatment in the acute phase. The neuro-radiological study should include standard views ofthe whole of the spine with antero-posterior and lateral tomograms of the fractured or luxated area. At present, the unquestionable contribution of the CT.